After the agony of witnessing her mother's multiple--and ultimately successful--suicide attempts, Linda Gray Sexton, daughter of the acclaimed poet Anne Sexton, struggles with an engulfing undertow of depression. 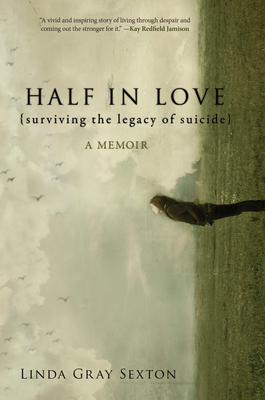 Here, with powerful, unsparing prose, Sexton conveys her urgent need to escape the legacy of suicide that consumed her family--a topic rarely explored, even today, in such poignant depth. Linda Gray Sexton tries multiple times to kill herself--even though as a daughter, sister, wife, and most importantly, a mother, she knows the pain her act would cause. But unlike her mother's story, Linda's is ultimately one of triumph. Through the help of family, therapy, and medicine, she confronts deep-seated issues and curbs the haunting cycle of suicide she once seemed destined to inherit.